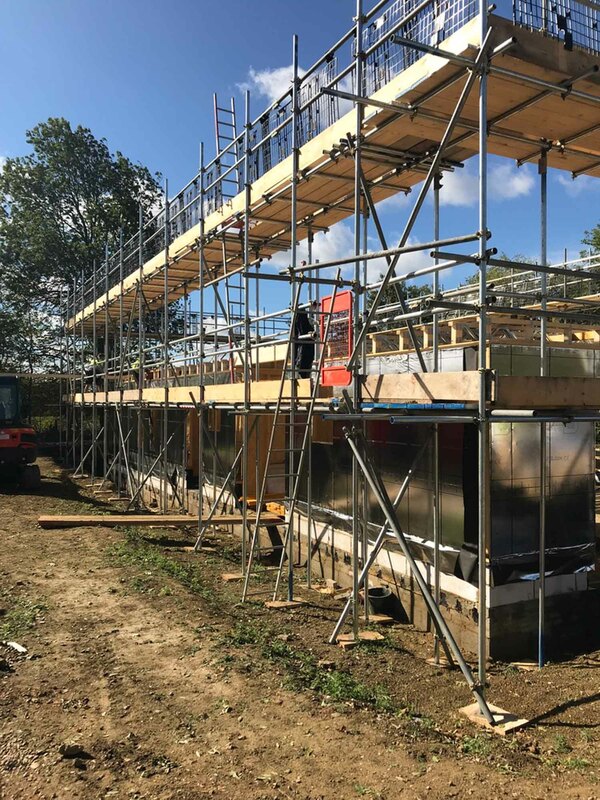 In a village on the edge of Cambridge we are building a contemporary version of a traditional Barn House. 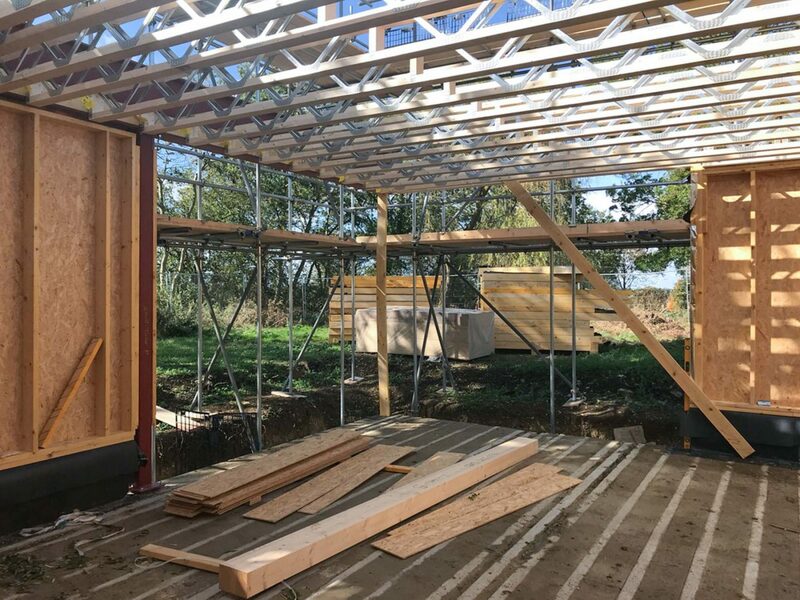 Being a New Build, it never was a barn, so rather than mimic the details of the local farm buildings, it reinterprets them into a new rural vernacular. 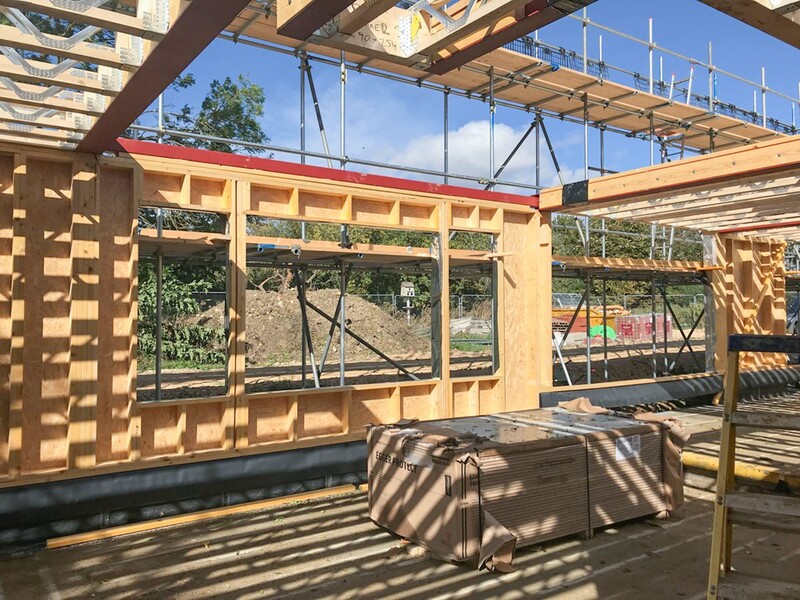 Material selection has been governed by a desire for the building to age gracefully. 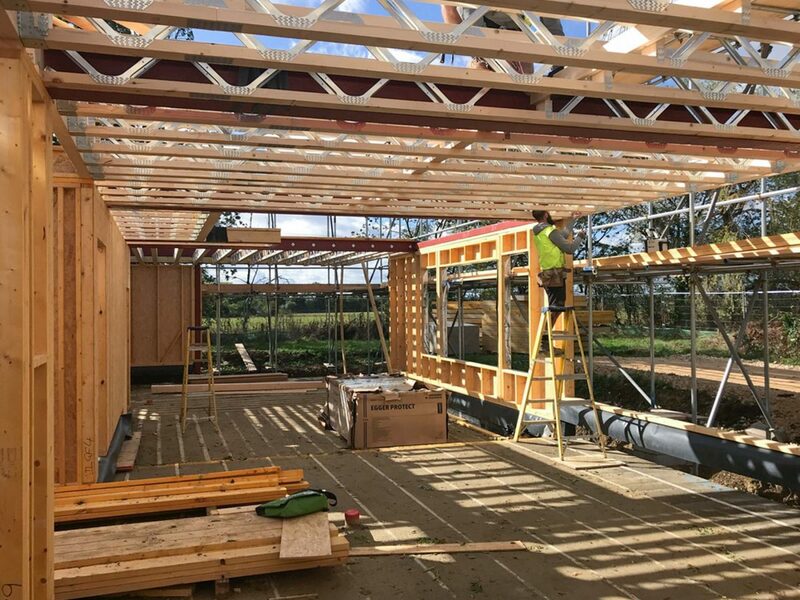 It uses a traditional palette of brick, stained black timber, red clay plain tiles and aluminium, but with a precision, level of detail and constructional techniques appropriate to a 21st Century house rather than a 19th Century agricultural building. 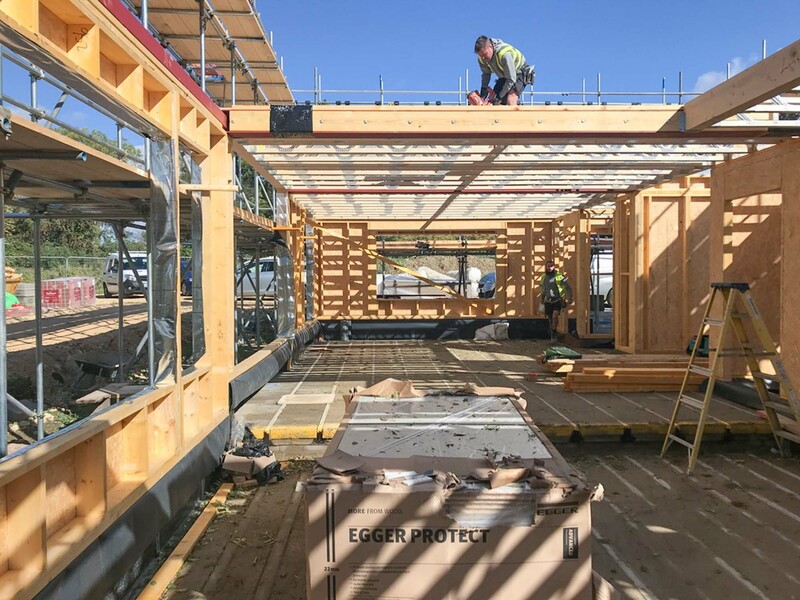 The building is constructed using a timber frame, fabricated off site. 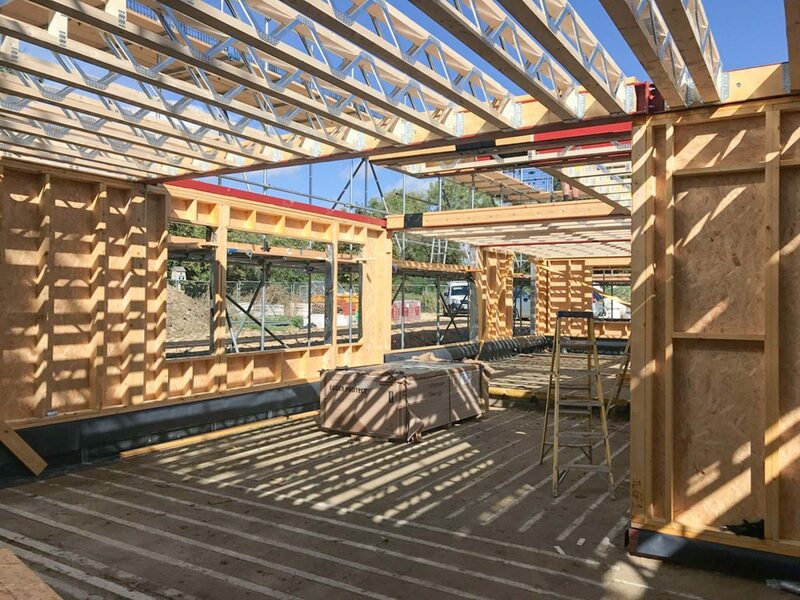 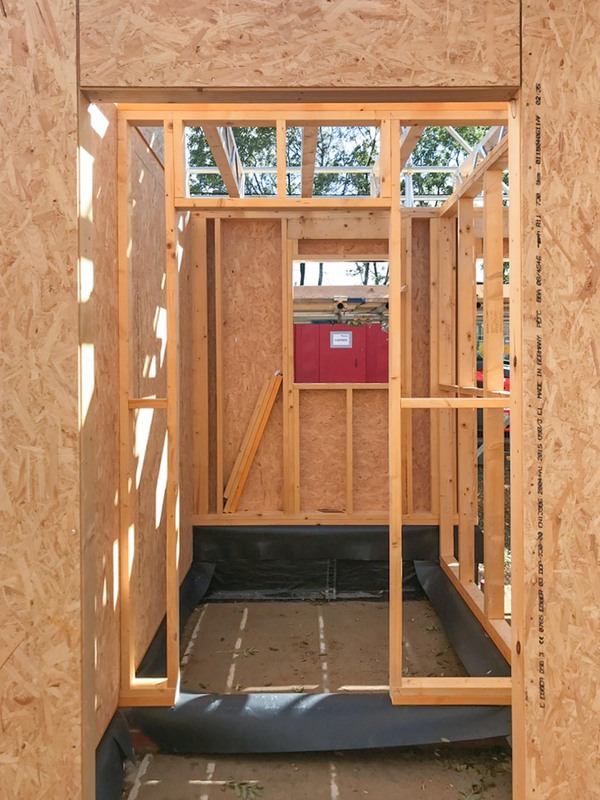 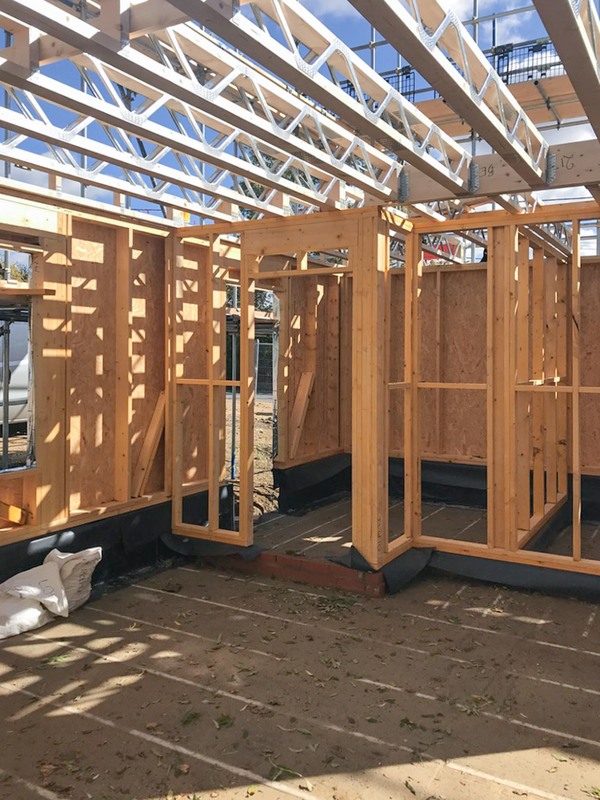 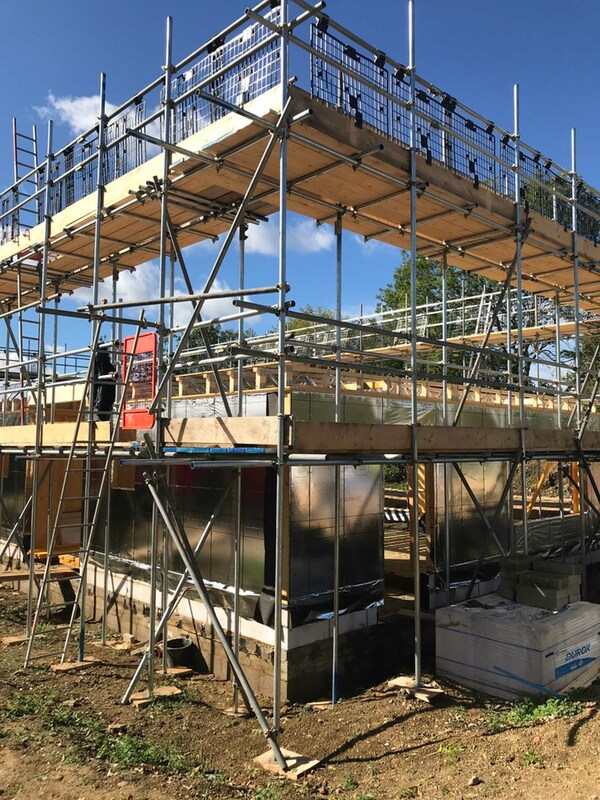 This leads to quick construction on site but also a dimensional precision which required for the setting out of the vertical cladding boards which are in two sizes. 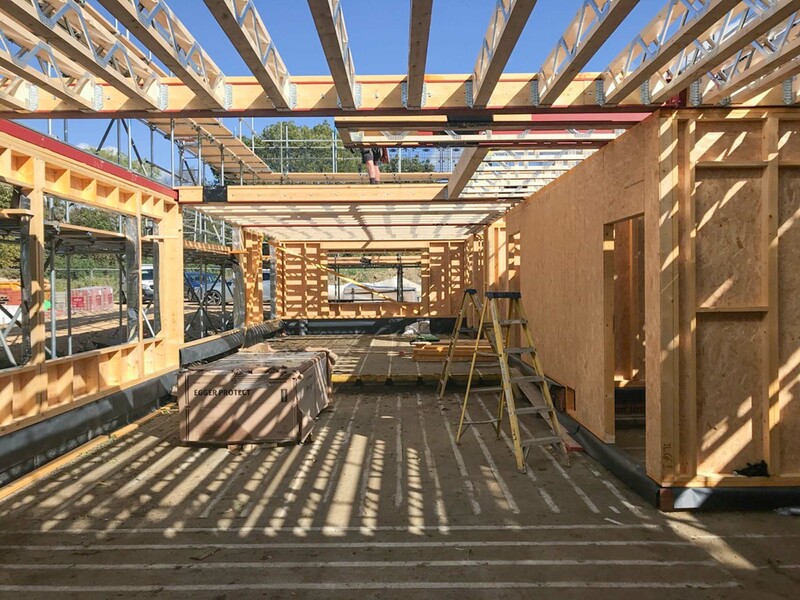 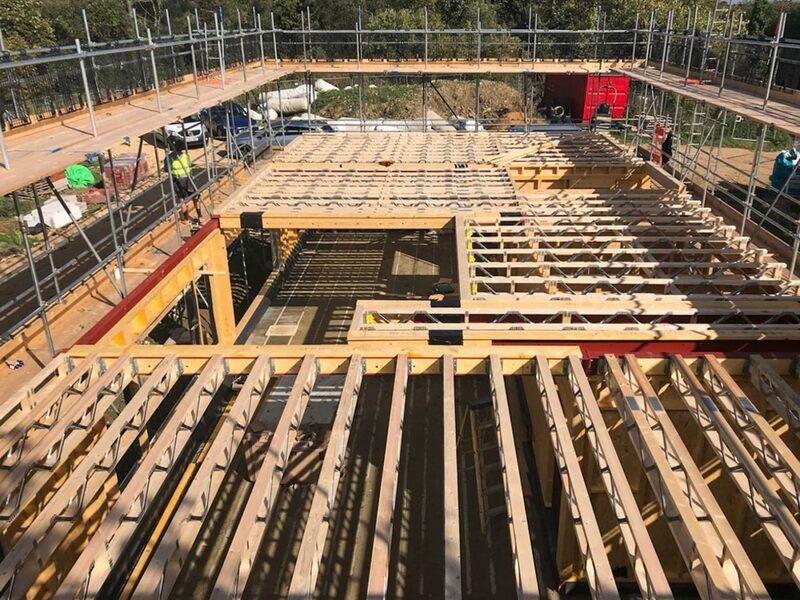 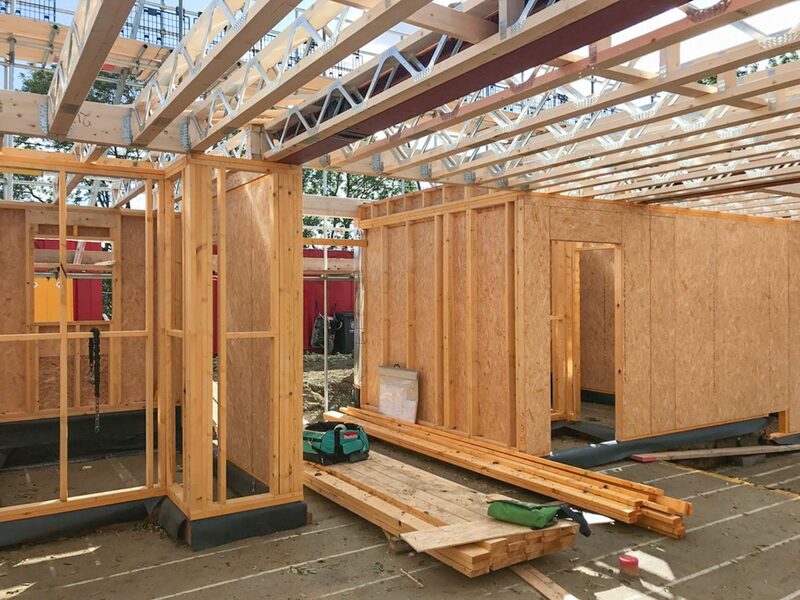 The first floor cladding boards are half as wide as the those on the ground floor, and each board is numbered as every opening is set out around this module.